Experience one of the most incredible close-up wildlife encounters on the planet from our exclusive base camp situated on a secluded island beach at the very heart of whale activity in Magdalena Bay, one of the major calving lagoons for gray whales. See these magnificent, gentle giants at the height of their calving season from the safety of motor skiffs as they allow you to reach down and actually touch the friendly giants! Whales are guaranteed on our gray whale watching tours. Magdalena Bay is a series of lagoons sheltered from the Pacific Ocean by low barrier islands and is the world-renowned winter nursery grounds of the California Gray Whale. January through March, hundreds of gray whales mate and bear their young in these protected waters after traveling over 5000 miles from the Bering Strait. The gray whale lagoons in Baja enjoy strict federal protection, and one can only whale watch with a licensed tour operator. You can watch the whales and their newly born calves up close from the safety of motorized skiffs. Breaching, spy-hopping and fluking, the whales will captivate your attention with their behavior. You can observe gray whales and discover Magdalena Bay's diverse, fascinating ecosystem of windswept sand dunes, vibrant desert flora and mangrove-lined estuaries. Only ROW Sea Kayak Adventures has exclusive permission to camp on the island. Our five-day Gray Whales of Magdalena Bay whale watching tours include three-days at our safari-style base camp situated on a secluded beach at the center of whale activity. It is the perfect place to see the gray whales as they surface and blow right in front of our camp! The area around our camp boasts the highest concentration of whales in Baja. Each day motorized skiffs take you out to the deeper waters of the bay, where "friendly whales" swim up to the skiffs for a closer look and often let guests touch their noses. On shore your guides will take you dune hiking, beachcombing and birding in mangrove channels - a mecca for migratory shorebirds. NOTE: First and last days for any Baja tour are arrival and departure days. Fly in a day early for a skiff/snorkel tour in the Sea of Cortez! The camp provides all the gear and amenities you need for a comfortable wilderness experience. Your guides will give entertaining, informative presentations on whale natural history. There's also an extensive library with books on whales. Ideal for families with children ages 8-18 and those wishing a shorter, more focused experience with whales. For more adventure, add a day of snorkeling around beautiful Isla Coronado in the Sea of Cortez to your Baja whale watching tour. Observe sea lions on rocks, snorkel, sunbathe, eat a picnic lunch and take a nature hike on this hat-shaped cinder cone island with sandy coves. Approx $140-170/person includes motorboat, driver, guide, snorkeling gear, wetsuit, lunch, guide, park fee. Upon arrival at the Loreto Airport take a quick cab ride to the tour hotel. 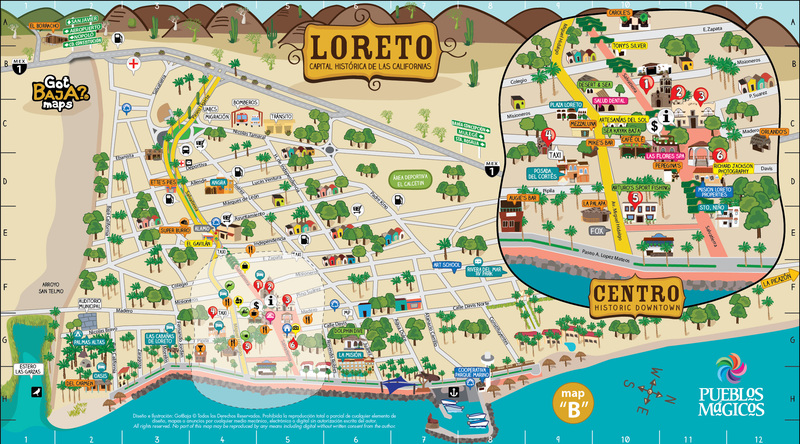 After checking into pre-assigned rooms (included in the tour cost) you are on your own to explore Loreto, take a walk down the malecon, or relax by the hotel pool before your evening orientation meeting. At the orientation meeting you will meet your guides who will give you details about the plan for the next morning and answer any questions you may have. After a good hearty breakfast be ready to depart 7:30am sharp for van transportation two hours to the Pacific coast, to Puerto Lopez Mateos on Magdalena Bay. Your first whale watching session will start immediately upon arrival. You might even see whales right from the dock! At the end of the two-hour session, the boat driver will ferry you across the bay to our exclusive base camp on a sand-dune barrier island. You’ll have a chance to unload your gear and settle into your pre-assembled tent before a hearty lunch. This afternoon, your guides will lead a hike across the dunes to the Pacific Ocean. You can meander back to camp along the beach in the sunset, just in time for happy hour and a dinner under the stars. Tea and coffee greet you with the morning sun, and you’re welcome to stroll along the beach and watch the whales wake up while your guides prepare a hot breakfast. Your day is filled with whale watching, hiking along the sand dunes and beachcombing the Pacific beaches. In the morning and afternoon we will take a motorized stiff into the bay for two hours of close encounters with gray whales (included in price), leaving the afternoon free for swimming, dune walking, whale watching from shore and exploring. We can also lead skiff birding tours into the mangrove areas, or part whale watching, part birding sessions. Our bilingual naturalist guides include marine biology graduate students from the University of La Paz. Be sure to board the skiff as soon as it arrives, as the clock starts ticking on the strictly 2 hour whale-watching session. You’ll enjoy one final whale watching session after breakfast in the morning before you are returned to Puerto Lopez Mateos by panga. After a chance to purchase a commemorative token in the small shops at the port, you’ll enjoy a hot seafood lunch at a local restaurant before the van ride back to Loreto. Check back into the tour hotel for a shower or take a strollalong the malecon before a farewell dinner with your group where you can reminise about spy hopping whales, and frolicking dolphins. There are no activities planned for this day so you are free to depart whenever you desire. Please note: The 6-day Itinerary will follow the same schedule as the 5-day itinerary, but with one more day of whale watching and camping. The first and last day remain arrival (fly in) and departure (fly out) days. *An additional $50 per person is added for tours out of La Paz. 6-day Magdalena Bay Whale Camp (Loreto): Special Pricing! Single Supplement: If you are a solo traveler and wish to have your own hotel room (or if we are unable to pair you up with another solo traveler), an additional single supplement of $120 USD in Loreto or $105 USD in La Paz is required. Solo travelers will typically have their own tent at whale camp, at no additional cost. However, we are unable to guarantee individual tents at whale camp due to limited tent capacity. If you are asked to share a tent at our whale camp, rest assured that tents are very spacious, full-height canvas wall tents, with two cots and plenty of room to stand and maneuver around your tent-mate without difficulty. If you're looking for the ultimate whale watching experience, join us for our 8-day Blue & Gray Whale Extravaganza in Loreto. Please Note: This tour involves transportation to and from Loreto or La Paz to the whale camp at Magdalena Bay. An additional transportation fee of $50 will be added to any combo trips running in LaPaz. Guests requesting a trip arriving in La Paz and departing in Loreto (or vice versa), if the option is available, may also be subject to additional fees for shuttle transportation. Please discuss this with our office staff if it's something you're interested in. Airport transfers are not included in your tour package price. What’s included in this whale watching package? What’s not included? Packages Include: Hotel accommodations before and after the tour, all camping equipment, all meals and beverages once the tour begins, all National Parks & Biosphere Reserve access fees required by itinerary, bi-lingual certified guides and the full service of our Adventure Consultants. Dates provided reflect your arrival date; all packages include a arrival and departure day. Packages do not Include: Airfare, transportation to and from airport, gratuities, and items of a personal nature. What’s the difference between San Ignacio and Magdalena Bay? Visit this page for a better understanding of which whale watching tour is best for you: San Ignacio Lagoon vs Magdalena Bay. We design our wilderness adventures to provide you with the best whale encounters imaginable. Magdalena Bay is a whale-watchers' paradise and we GUARANTEE gray whale sightings on this tour! The whales migrate down from their Alaskan home waters to calve in Magdalena Bay from January through mid-March, so this is the only window to see them in Baja. How long are the whale watching sessions? You will spend two-hour sessions on the water in motorized skiffs (called pangas) whale watching. Be ready to go immediately when the boat arrives to maximize your time out whale watching, as the 2-hour session starts promptly. How many people are in a panga during the whale watching session? All whale watching excursions are in open fiberglass 22-foot motorized boats called “pangas” that hold a maximum of six passengers each, plus a guide and driver. Each panga is equipped with life jackets, radio, first aid kit, and piloted by an experienced, government-licensed Mexican “pangero” who will allow us safe and proximate viewing of the California Gray Whale. Can I kayak with grey whales? No kayaks or private boats are allowed in the nursery lagoons of Baja’s Pacific Coast including San Ignacio. Only licensed Mexican whale watching boats are allowed in the lagoons when the whales are present. It is important to understand that this is a camping trip and we want to be sure that you are prepared, both mentally and physically, for the challenges it will present, and have clear expectations about the trip. During the day, we'll spend two hour sessions on the water in motorized skiffs (called pangas) whale watching. While whale watching from a boat is not strenuous and the water is usually calm, the bay can be choppy when it is windy, so if you are susceptible to seasickness, bring medicine or whatever you need. The hiking could best be described as leisurely. We do require that anyone over 70 or with any health or weight concerns consult us before signing up to make sure you are up to fully participating. What is whale camp like? Are there toilets and showers at camp? A roomy full-height wall tent with two cots, night stand, rectangular sleeping bag with clean sheet, small pillow, and comfortable self-inflating pad are provided for your convenience at camp. There is also a washroom tent with a portable toilet. We recommend packing biodegradable shower wipes to freshen up with as there is no fresh water at whale camp. What common space is available? We have a spacious 30’ wide dome tent that serves as an evening gathering space if it’s too cool or rainy outside (rare) or just a place to get out of the sun during the day. There are also miles of beach and sand dunes to explore! How big are the tents at whale camp? Our tents are 8’ x 12’ and about 7’ tall. They are made of canvas and have a nice big window on one side. They are equipped with cots, comfortable sleeping pads, sleeping bags and pillows. We know your Guide will make the biggest difference on your trip! Which is why we pride ourselves on employing only the best local guides for all of the incredible locations that we visit. Part of this is to support our eco-tourism efforts, but we also believe that there is no better way to experience a new destination than through they eyes of a local! We find talented and skilled local guides, train and certify them, and provide a positive and consistent source of income to them and their families. Most of our guides are with us for the long-term, despite the seasonal nature of the industry. To keep our group size small and our impact minimal, we typically limit our tours to 14 people or less. Our standard minimum to confirm a departure is 4 guests for our Magdalena Bay whale watching tour. Our tour costs are based on double occupancy on any included hotel nights. Solo travelers who would like their own single hotel room can pay a single supplement (see "Dates & Rates" above for the single supplement price for this tour), or can be matched up with another solo traveler of the same gender if one is available and willing to share. If we are unable to pair you with another solo traveler, we must apply the single supplement charge to cover our hotel costs. Solo travelers will typically have their own tent at whale camp, at no additional cost. However, we are unable to guarantee individual tents at whale camp due to limited tent capacity. If you are asked to share a tent at our whale camp, rest assured that tents are very spacious, full-height canvas wall tents, with two cots and plenty of room to stand and maneuver around your tent-mate without difficulty. Where can I store my luggage while I’m on your tour? You can leave your luggage at your tour hotel while you are on tour. We recommend getting a luggage lock if you are leaving any electronics in the bags. We’ve never had any issues with guests leaving their bags at the hotel but it’s always better to be safe just in case.